Augusta might owe its existence to the Savannah River — without it, James Oglethorpe would never have established a trading post below its shoals in 1736, nor would the canal that allowed Augusta to emerge as an industrial powerhouse a hundred years later ever have been constructed — but that doesn’t mean the relationship has always been a smooth one. 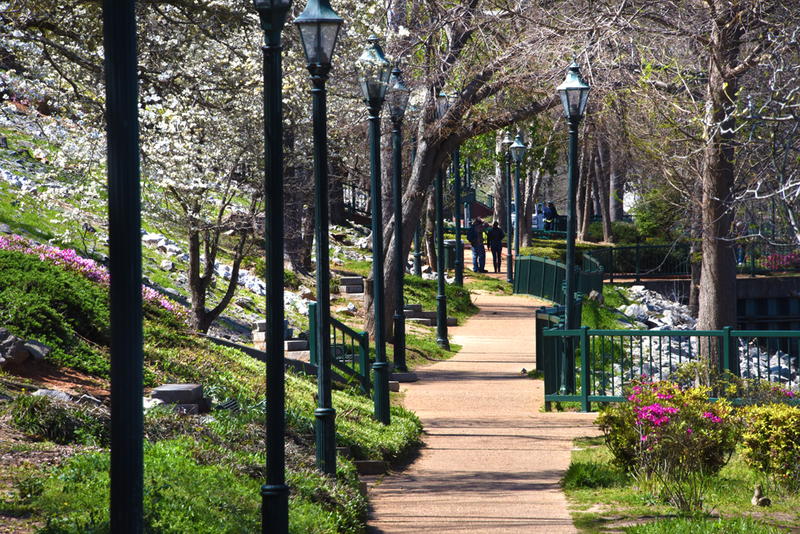 The untamed river had the destructive habit of overflowing its banks and flooding the city — a habit that eventually required the construction of a protective levee in the 1910s. While the levee more or less kept the floodwaters at bay, it effectively eliminated the city’s most scenic natural resource. Out of sight, the Savannah River was out of mind for most Augustans. It wasn’t until the 1980s, after a changing economy left the downtown area virtually abandoned, that city leaders began thinking about ways to bridge the levee and incorporate the river into city planning. Unable to proceed without an Act of Congress, the levee was eventually breached to allow the creation of the Augusta Riverwalk, a city park that stretches between 6th Street and 10th Street. 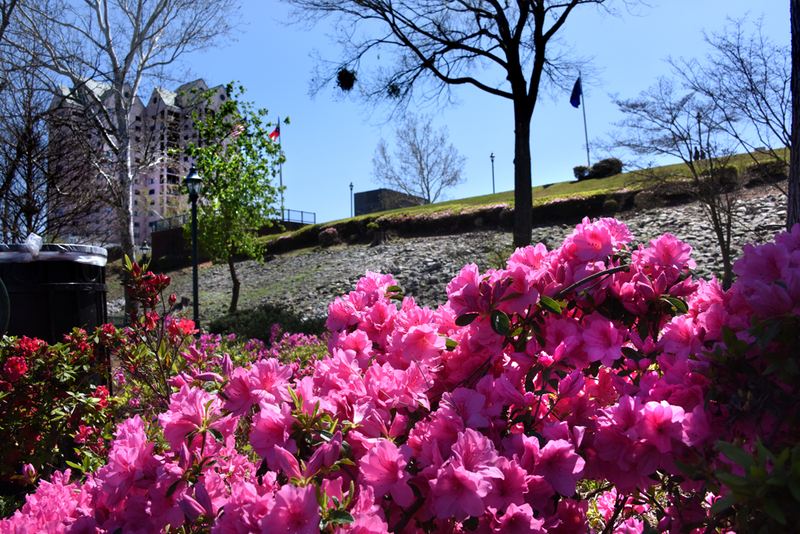 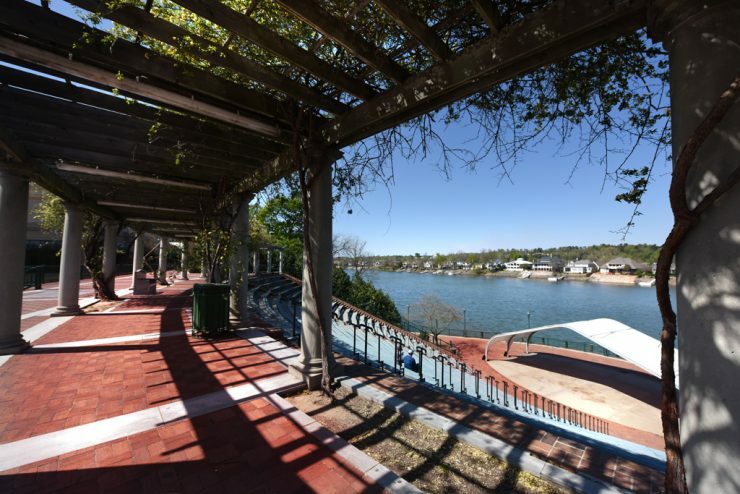 Currently, it includes two levels of bricked walkways, the 8th Street Plaza and Bulkhead, the 1,800-seat Jessye Norman Amphitheatre, a Japanese Garden, several sitting areas and the Heroes Overlook and Memorial Park. 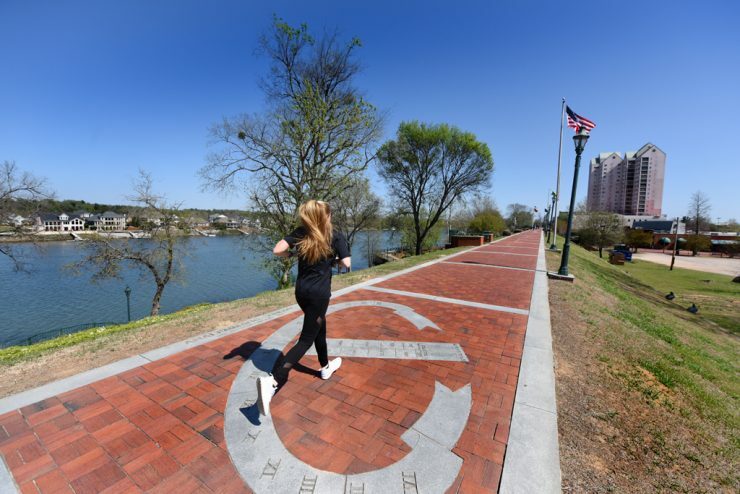 In December 2017, the Georgia Technology Authority announced that it would oversee an extension of the Riverwalk to the 13th Street Bridge, basically connecting it to the state’s digital campus, which is growing adjacent to the university’s Riverfront Campus. 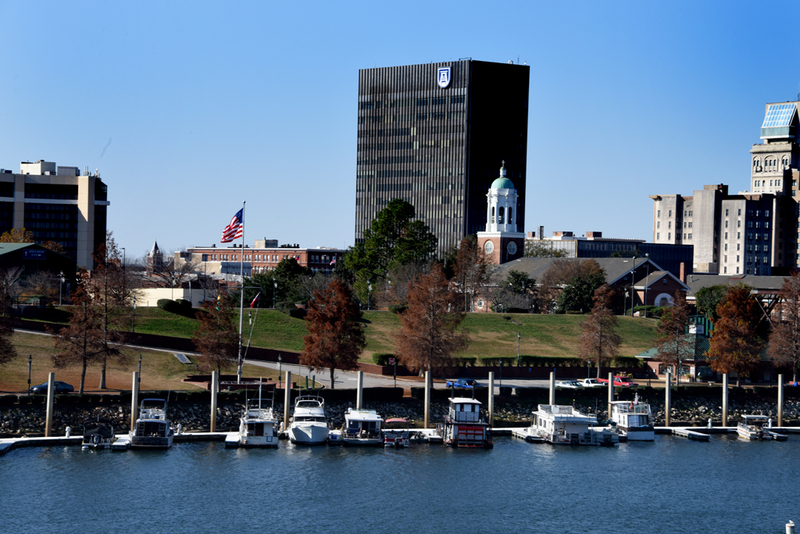 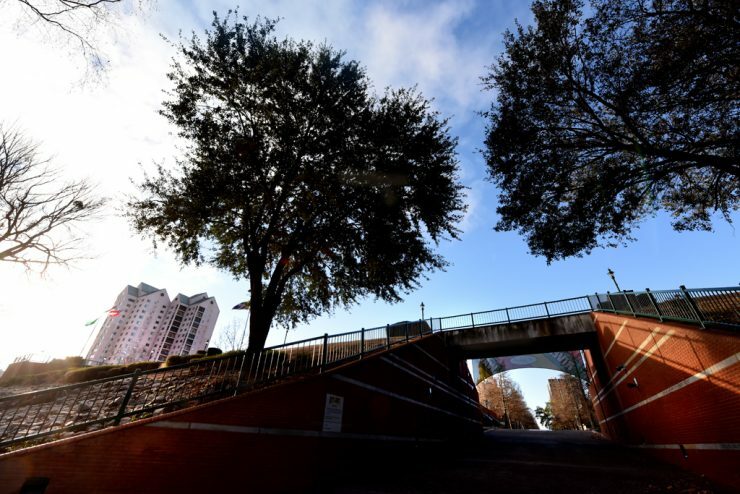 With Augusta University occupying space there, at the Augusta Riverfront Center and at Augusta University on Broad, formerly the Wells Fargo Building, the Riverwalk serves as a scenic connector for the university’s growing downtown presence. 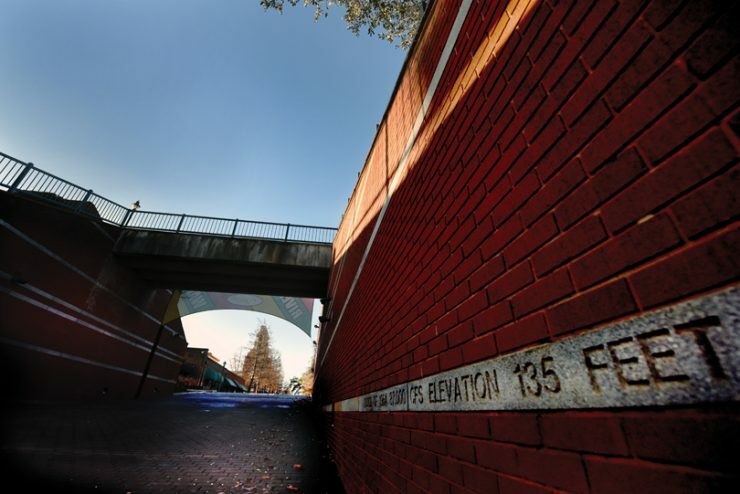 While markers in the bulkhead walls provide ominous reminders of just how high the river can rise, the construction of the Clarks Hill Dam in 1954 all but eliminated the need for such dramatic flood control. 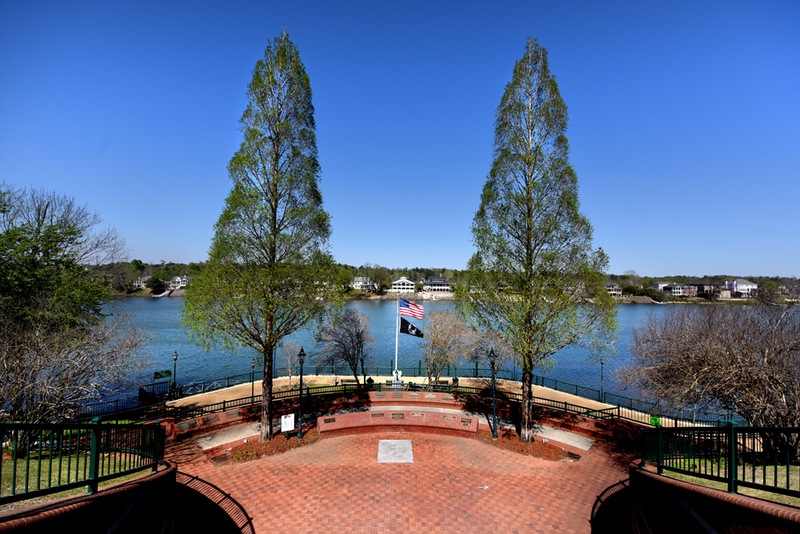 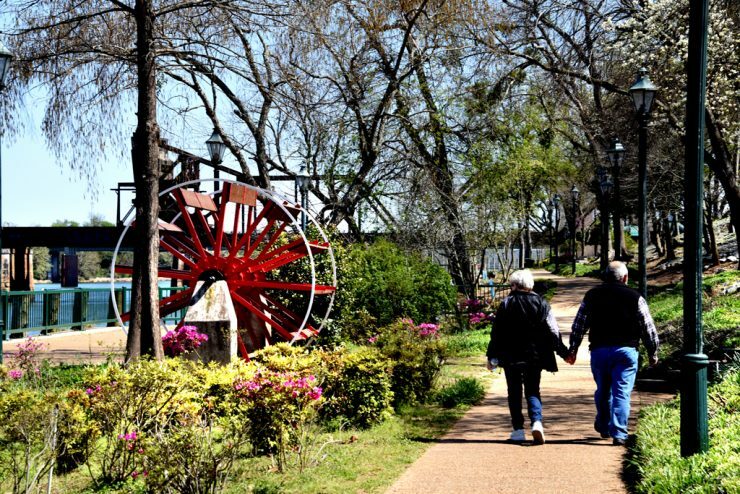 However, the levee remains and the Riverwalk continues to be one of Augusta’s signature attractions.